​At Next Age Fitness, we use two cutting edge technologies. The ARX machines give great workouts and the 3D body scan allows tracking of fitness goals. 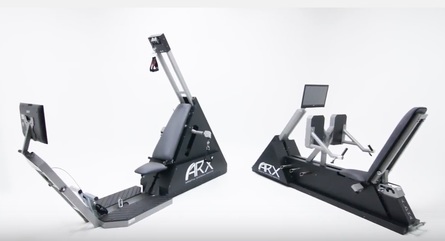 ARX provides adaptive resistance to challenge muscles, stimulating adaptation. And they do so in 20 minutes a week! Yes, we squeeze in the benefits of a week’s worth of strength training into a 20-minute weekly workout. At Next Age Fitness, we focus on simple, compound exercises that challenge major muscles. 3 to 5 exercises during a 20 minute appointment and clients are loving the results. Every fitness regimen and food plan should be accompanied by measurement to ensure goals are achieved. With a scale alone you could lose valuable muscle instead of fat or you could be misled into thinking your weight gain is fat! The 3D body scanning will give you concrete evidence that your goals are being met by showing you exactly where your body is changing. It is easy and takes less than 5 minutes. 3D scanning at Next Age Fitness does not use radiation and does not subject you to submersion under water yet gives you reports to help you understand if your food plan is working for you. Schedule a Tour to stop by and hear more about the 20 minute workout. Schedule a First Workout so you can hear AND experience it. You are also welcome to text/call (404-998-4432) or fill out the form below and we’ll get right back to you.